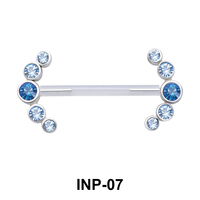 KS Piercing: Wholesale Jewelry, Jewelry Displays for Necklaces, Pendants, Bracelets. Starting from only $10 Flat-rate. KS Piercing, your trusted wholesale body jewelry supplier. KS Piercing would like to stress the fact that all of the Basic Wholesale Body Jewelry parts (Piercing Barbells Bars, bananas, balls, etc.) presented in this website are made in 316L Surgical Stainless Steel as our industry standards dictate. This material is also used for the realization of medical tools due to its hypoallergenic and safe nature for the human body while being used for surgical implementations. KS proudly declare that our entire jewelry collection is made of perfectly safe metals. KS Piercing would like to stress the fact that all of the Basic Wholesale Body Jewelry parts (Piercing Barbells, Bars, banana, balls, etc.) presented in this website are made in 316L Surgical Stainless Steel as our industry standards dictate. This material is also used for the realization of medical tools due to its hypoallergenic and safe nature for the human body while being used for surgical implementations. KS proudly declare that our entire jewelry collection is made of perfectly safe metals. KSPiercing.com is a specialized online outlet providing wholesale body jewelry Silver jewelry items and fashion jewelry to aficionados around the world since 2003. We are a part of the acclaimed KS Piercing jewelry has been providing the body piercing jewelry wholesale industry with quality designs, original forms and shapes as well excellence in the making of its products ever since 1989. 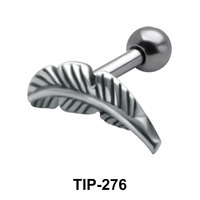 Strong of this near thirty years of experience in this industry, we welcome you to browse our wide range of wholesale piercing styles such as septum jewelry, earrings, nose studs, belly button rings, helix piercings, dermal anchors and many more at our website which offer with deals of the month, best sellers design while ensuring a secure shopping experience. Whether you are a fashion conscious person, someone looking forward to finding a new way to expressing your uniqueness through the use of stainless steel body enhancements, or a shop owner aiming at providing ever more innovative and stunning body jewelry designs, you knocked at the right door! Feast your eyes upon the hundreds of unique and exclusive belly rings and piercing jewelry designs we propose and enjoy the possibilities offered to you, your business and your friends to bring a truly unique and new You! Chose from our extensive selection of cartilage body jewelry, belly rings, tongue rings, nose studs, septum jewelry and other dermal anchors, the product that best suits your mood, the moment or your customers. 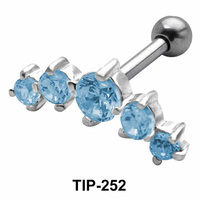 Whether you prefer the sober glow of a full metal ornament (925 sterling silver jewelry, or silver plated brass jewelry), the glamour of bones and horn made tribal piercings, a shinier CZ or Rhinestone encrusted stud or a classic pearl enhanced navel piece you will find it all at the best available price in the market from the best Thailand wholesale piercing supplier. All the products presented on this site are in stock and ready to be shipped upon 48 hours of payment confirmation. What’s more, should you like our product and believe that your friends could also be interested in our goods. We offer you fast SHIPPING option, so if it straight barbells, curved barbells or a wood plugs, just add all your basic piercing shopping cart. Do not let go of the opportunity to revolutionize your everyday style by increasing your own surgical steel tongue rings and belly button rings collection at will! Should you be looking for an ever more specific style of surgical steel body piercing piece, want to have your own products tailor-made, feeling like starting your own brand, please register to our wholesale body jewelry program with 100% exclusive products or have large orders to pass on? Contact us directly by mail, we will provide assistance and answers to your needs within 24 hours of your contacting us. Finally, last but not least, should you wonder how to take care of your body piercing, have a question about our products, the materials we used, whether the sterling silver jewelry or the stainless steel is more or less intrusive, fear not to ask! We are happy to assist you in your quest for knowledge and are glad to support you in the further development of your personal style! You may also want to visit our factory shop, here in Bangkok (Thailand), where most of our items are displayed and our teams of highly trained professionals will welcome you. So try and stop by our body piercing factory the next time you are coming to Bangkok be it for business or pleasure well always have a minute to spare in order to share our passion with you!